We offer programs year-round for entrepreneurs at every level of the startup development cycle. Check out the opportunities below to see which one makes sense for you. No man is an island, and the same saying rings true for startups. At CO.LAB, we’re fortunate to have partners who understand that community and entrepreneurial opportunity often go hand in hand. To bring those ties to life, experts from a cross-section of local business regularly offer free startup advising in their respective areas of expertise. Sign up to receive one-on-one advice on legal issues, finances and accounting, marketing, strategic communications, and more. You can view the full schedule of services on the CO.LAB calendar. A nine-week program for beginning entrepreneurs. CO.STARTERS is a nine-week program that equips aspiring entrepreneurs with the insights, relationships, and tools needed to turn ideas into action. Now offered in more than 50 locations across the globe, CO.STARTERS helps participants apply the lean business modeling methods of high-growth startups to small businesses of all kinds. Each cohort consists of 10-16 entrepreneurs and is facilitated by an experienced business owner or founder. A mentor-driven program for high-growth potential startups. 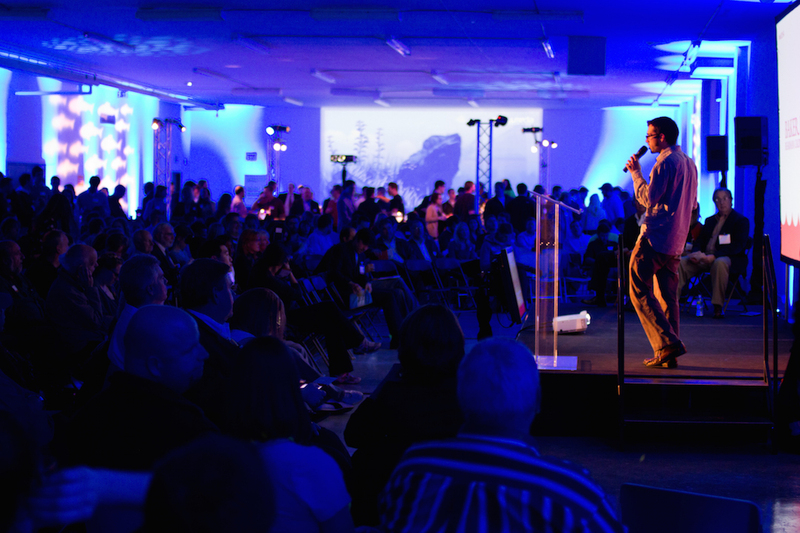 The CO.LAB Accelerator is designed for high-growth startups working to scale their companies. This mentor-driven experience is designed to help entrepreneurs overcome the barriers involved in developing a compelling business model that can attract angel or venture capital, corporate partnerships, and customers. 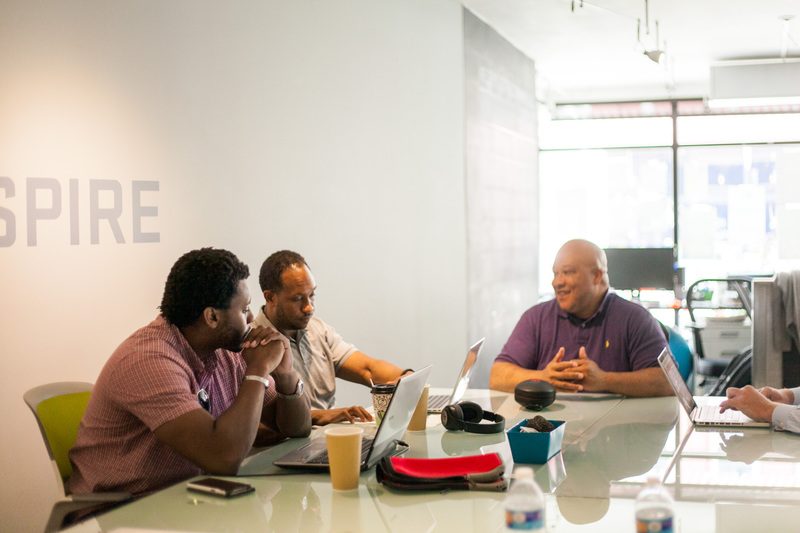 Participants engage in weekly meetings with CO.LAB entrepreneurs-in-residence and mentors while enjoying 24-hour access to workspace, office resources, and meeting rooms. Held each summer, this 12-week program culminates with a Demo Night where participants pitch their companies to an audience of potential investors, corporate partners, media, and members of the public. A boutique accelerator for ultra high-bandwidth business applications. GIGTANK is a boutique accelerator for startups developing applications that thrive on low-latency networks. Hosted concurrently with the CO.LAB Accelerator, this annual summer program is globally-recognized for inviting participants to test their ideas on Chattanooga’s 10 Gbps, metro-wide fiber optic network. Throughout the program, startup teams enjoy support from a robust network of mentors, industry specialists, and business development resources as they prepare scalable companies for the next-generation marketplace. A half-day that equips aspiring entrepreneurs with the insights and tools needed to start turning ideas into businesses. GET STARTED WORKSHOPS equip aspiring entrepreneurs with the insights, relationships, and tools needed to turn ideas into a businesses. Whether individuals are just getting started, stuck on a particular issue, or are in need of a refresher, this workshop is a low-commitment opportunity to get ideas moving. The curriculum and activities help individuals understand what is driving their ideas and walks their ideas through the CO.STARTERS Canvas. Participants will also have the opportunity to collaborate with other members of the community and make valuable connections to help them along the way. A goal-centered program designed to help entrepreneurs drive their businesses forward. 30/60/90 ROADMAP is a 90-day cohort-based program designed to drive entrepreneurs forward in their venture development. By helping participants establish 30-, 60-, and 90-day goals for their businesses along with corresponding tasks, participants are provided with ongoing accountability over the course of four sessions. Roadmap is ideal for companies that have completed a business modeling program, such as CO.STARTERS or the CO.LAB Accelerator, or are beyond the idea stage and looking to establish a sustainable business model or build on an existing business. This program is being piloted in the spring of 2018. We offer opportunities for entrepreneurs to pitch their ideas to the public at various intervals throughout the year. Visit our Events page to learn about Will This Float?, 48Hour Launch, and other opportunities to exchange ideas with entrepreneurial enthusiasts in our region.